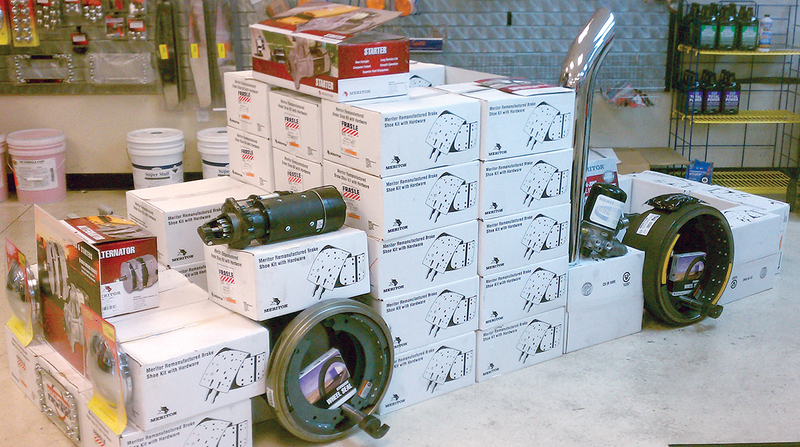 Meritor Inc. announced that 11 independent repair facilities in eight states are newly approved service partners of the Meritor Service Point program. That raises the number of qualified member shops to 30, according to the Troy, Mich.-based company. All of the locations are affiliated with Professional Transportation Partners, a network of independently owned repair facilities in Alabama, Indiana, Nevada, North Carolina, Ohio, Texas, Vermont and Virginia. All Meritor Service Point locations are promoted through the company’s collaboration with TruckDown Info International Inc. TruckDown is an online system fleets can use to locate qualified service centers in the United States and Canada. Meritor is continuing discussions with Meritor Service Point candidates and will focus on adding more members this year. Meritor is a global supplier of drivetrain, mobility, braking and aftermarket solutions for commercial vehicle and industrial markets.